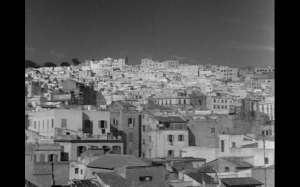 Nestled deep in the heart of Algiers is a labyrinthine honeycomb of passages and staircases. Terraces and ceilings melt together into a giant roof that stretches in all directions for miles; streets become roads, roads become alleys, alleys become dead ends; and every corner offers forth an endless menagerie of races and ethnicities united only in their uniform heterogeneity. This is the Casbah, the broiling anthill at the center of France’s most cherished of colonialist possessions. And hidden within its walls is a foreign thief-king much beloved and feared by his subjects. His smile is one of calculated insouciance, for although he reigns supreme, his kingdom is a prison. Within the Casbah he is untouchable, untraceable. But to step outside of it would mean arrest and imprisonment. And although he has practically everything he could possibly want, Pépé le Moko wants something more: a home. 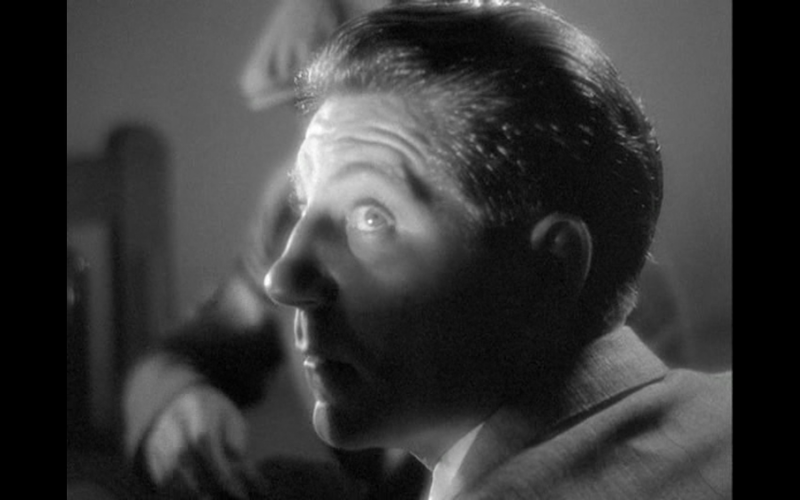 Here is the conflict that drives Julien Duvivier’s Pépé le Moko (1937), a film that stands as one of French cinema’s greatest pre-war triumphs. 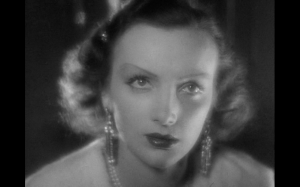 It has been called many things over the years: a gangster flick, a forerunner to film noir, and an embodiment of poetic realism, that most French of film movements which produced a string of masterpieces in the 1930s and 1940s that were steeped in disillusionment, heightened aestheticism, and bittersweet nostalgia. 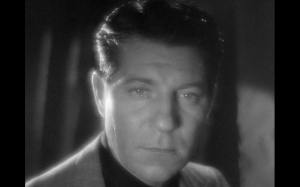 And indeed, Pépé le Moko is uncommonly beautiful. Cinematographers Marc Fossard and Jules Kruger demonstrate a film school’s worth of techniques, waltzing from the starkest of low-key shadows to the most luminous of soft focus medium shots and close-ups without missing a beat. And when Pépé first meets Gaby, that most beautiful (and European) of beauties – ah! Duvivier gives us a series of shimmering close-ups that rank among the most beautiful of 1930s cinema. It is Pépé’s obsession with Gaby that pronounces and guarantees his doom. Her entry into his carefully constructed world seems to shatter it. 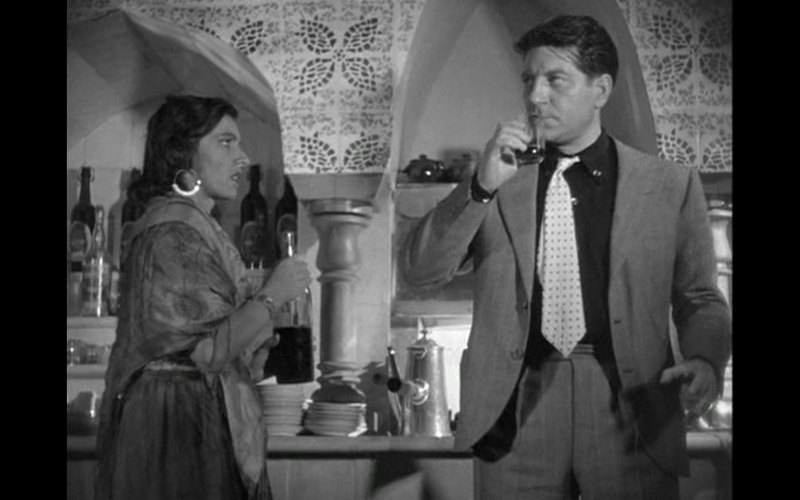 After meeting her, the police begin to close in around him, managing to trick and kill one of his protégés in a desperate attempt to get him to leave the Casbah. 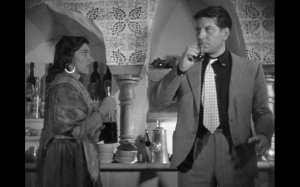 His Romani girlfriend Inès begins to revolt when he callously tosses her aside for his new lover. And worst of all, he begins to lose his ability to control his emotions. Where once he could weather a deadly shoot-out with the police with casual indifference, now he lashes out at the slightest provocation. 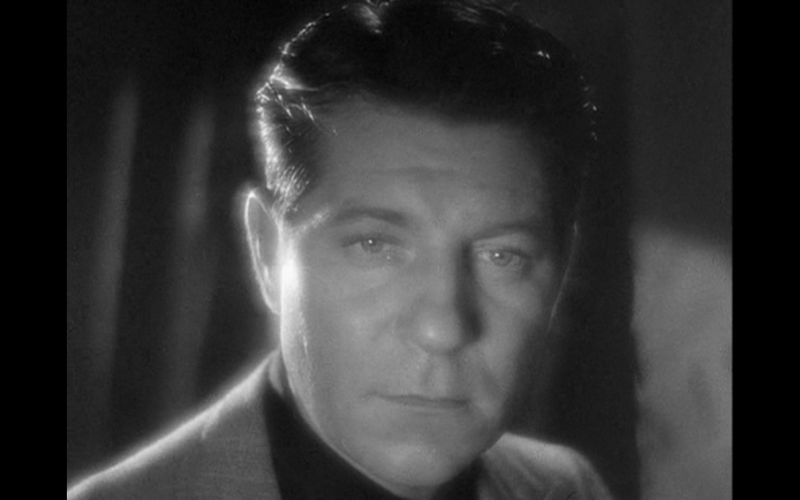 One of the true wonders of the film is Jean Gabin’s increasingly tortured performance as Pépé. 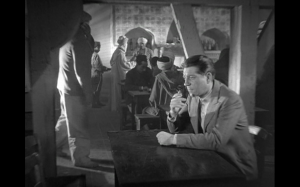 By the 1930s Gabin had perfected the exhausted, world-weary machismo that would take Humphrey Bogart another decade to properly develop. 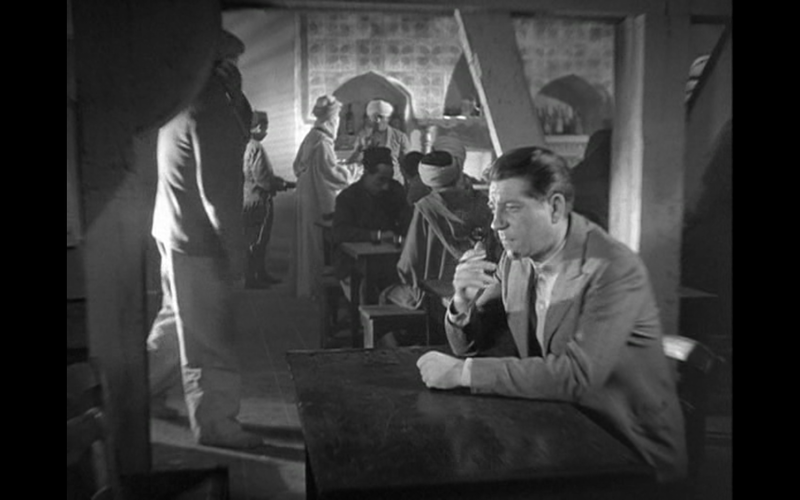 In fact, as the film goes on and Pépé’s cocksure confidence gives way to premonitions of doom and misery, if you squint you can almost see Rick Blaine sitting alone after-hours at his Café Américain, brooding over another beautiful white woman he can never have while trapped in a strange African city where his word is law to everyone outside of it. That Pépé will eventually fail, lose Gaby, and be destroyed is a conclusion practically preordained from the first minute we see him. He is a Stranger in a Strange Land, and although he commands the respect and loyalty of all within his domain, every minute within the Casbah kills him a little bit more. Many have commented that Pépé’s infatuation with Gaby and his willingness to self-destruct when she is denied him is unrealistic considering both his standing and affluence within the crime world. But to that I would point to a scene near the end where Pépé takes temporary refuge with his friend Tania, an old woman who in her youth sold out Paris music halls with her singing. She plays a mournful ballad on her record player that tells the sad tale of an emigrant in America dreaming of their home back in France. It’s a tearful scene that on the surface has nothing to do with the plot. But, in fact, it has everything to do with it. For the scene is a communion of common misery and longing between Tania and Pépé where everything becomes clear. Pépé doesn’t just love Gaby, he loves what she represents: a new life and an old home. Next ArticleMusic Review: Damien Rice - "My Favorite Faded Fantasy"